The James Bond series focuses on a fictional MI6 agent created in 1953 by writer Ian Fleming, who featured him in twelve novels and two short-story collections. Since Fleming’s death in 1964, eight other authors have written authorised Bond novels or novelizations: Kingsley Amis, Christopher Wood, John Gardner, Raymond Benson, Sebastian Faulks, Jeffery Deaver, William Boyd and Anthony Horowitz. The latest novel is Trigger Mortis by Anthony Horowitz, published in September 2015. Additionally Charlie Higson wrote a series on a young James Bond, and Kate Westbrook wrote three novels based on the diaries of a recurring series character, Moneypenny. 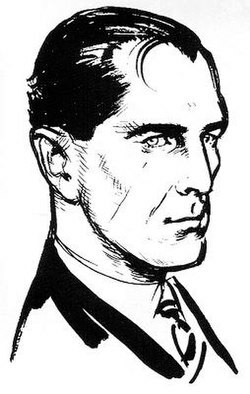 For the first five novels, Fleming armed Bond with a Beretta 418 until he received a letter from a thirty-one-year-old Bond enthusiast and gun expert, Geoffrey Boothroyd, criticising Fleming’s choice of firearm for Bond, calling it “a lady’s gun – and not a very nice lady at that!” Boothroyd suggested that Bond should swap his Beretta for a Walther PPK 7.65mm and this exchange of arms made it to Dr. No. Boothroyd also gave Fleming advice on the Berns-Martin triple draw shoulder holster and a number of the weapons used by SMERSH and other villains. In thanks, Fleming gave the MI6 Armourer in his novels the name Major Boothroyd and, in Dr. No, M introduces him to Bond as “the greatest small-arms expert in the world”. Bond also used a variety of rifles, including the Savage Model 99 in “For Your Eyes Only” and a Winchester .308 target rifle in “The Living Daylights”. Other handguns used by Bond in the Fleming books included the Colt Detective Special and a long-barrelled Colt .45 Army Special. The James Bond character and related media have triggered a number of criticisms and reactions across the political spectrum, and are still highly debated in popular culture studies. Some observers accuse the Bond novels and films of misogyny and sexism. Geographers have considered the role of exotic locations in the movies in the dynamics of the Cold War, with power struggles among blocs playing out in the peripheral areas. Other critics claim that the Bond films reflect imperial nostalgia. American conservative critics, particularly in the 1960s and 1970s, saw Bond as a nihilistic, hedonistic, and amoral character that challenged family values.